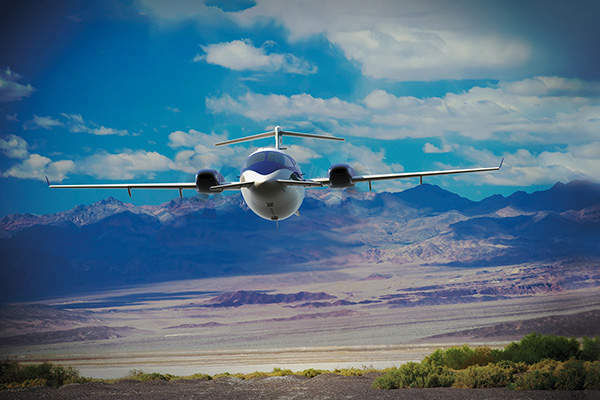 Piaggio Avanti EVO is the world’s fastest multi-utility turboprop. Image courtesy of Piaggio Aero Industries S.p.A.
Avanti EVO is the successor to Piaggio P180 Avanti II. 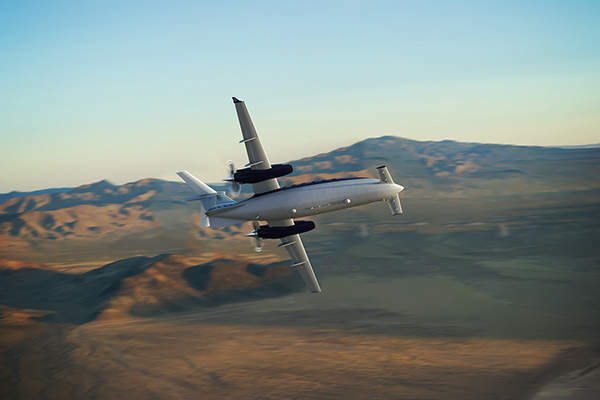 Image courtesy of Piaggio Aero Industries S.p.A.
Avanti EVO is powered by two Pratt & Whitney Canada PT6A engines that drive two five-blade propellers. Image courtesy of Piaggio Aero Industries S.p.A. The aircraft has a maximum speed of 402k (745km/h). 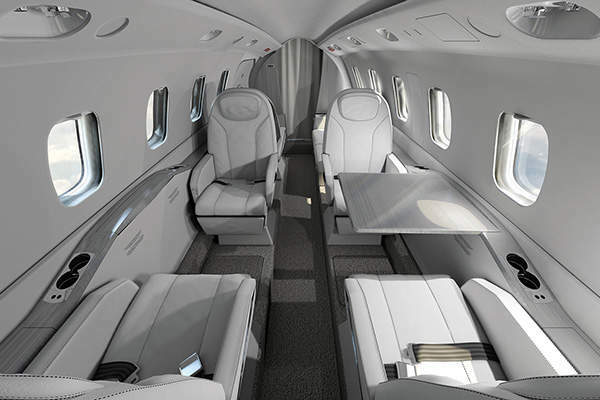 Image courtesy of Piaggio Aero Industries S.p.A.
Avanti EVO can accommodate seven passengers. Image courtesy of Piaggio Aero Industries S.p.A. The Avanti EVO is a new twin turboprop aircraft developed by Italian aerospace manufacturing company, Piaggio Aero Industries. The third-generation aircraft offers a maximum speed of 402kn (745km/h), making it the world’s fastest multi-utility turboprop. 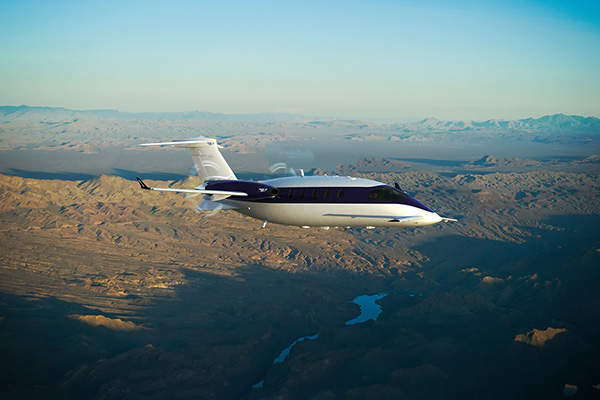 Flight testing of the Avanti EVO began in February 2013 and the aircraft was unveiled in May 2014 at the European Business Aviation Convention and Exhibition (EBACE) in Geneva, Switzerland. The high-performance aircraft is built at Piaggio Aero’s new production facility at Villanova d’Albenga, Savona, Italy. The design of the Avanti EVO is based on the Avanti P.180 platform and incorporates upgraded features that increase efficiency, enhance safety and comfort, as well as lower operational cost. The new variant offers greater range, faster climb, lower noise footprint, world-class safety systems, and a spacious cabin. It is also characterised by a lower emission rate and fuel economy. The aircraft can be used by armed forces, government agencies and private operators. It can function as an air ambulance or photogrammetric patrol unit, as well as assist in flight inspections for calibration of air navigation instruments and radio measurements. 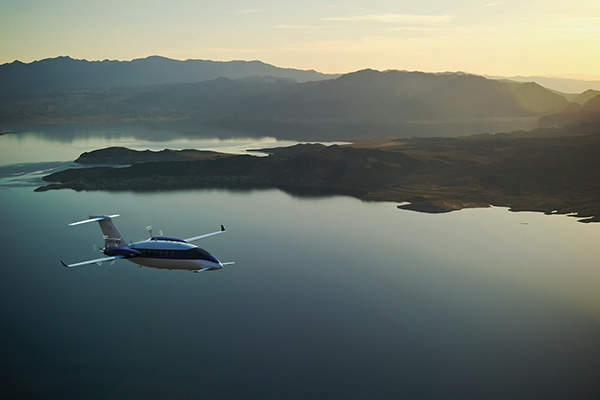 Piaggio received the first major order for Avanti EVO from Hong Kong-based investment and advisory firm Bravia Capital in July 2014, for up to 50 Avanti EVO aircraft. The contract includes ten firm orders with options for 40 more. Bravia Capital uses the aircraft for passenger transportation in the US. Piaggio Aerospace delivered a VIP-configured Avanti EVO aircraft to Kris Sakti Holdings in March 2015. Piaggio Aerospace signed a contract with West Coast Aviation Services to deliver five Avanti EVO aircraft, in November 2016. Piaggio Aerospace received four orders for Avanti EVO aircraft at the European Business Aviation Convention and Exhibition (EBACE) 2018 held in Geneva in May 2018. The airframe of the Avanti EVO has been improved by introducing the three lifting surface (3LS) design that is characterised by small front wings, inverted central wings and the tail’s flat surface elevation. The design provides the aircraft stability and control at high speeds. The elegant aerodynamic curve from nose to tip improves laminar flow and reduces drag, maximising the performance by 34%. The drag-reducing winglets and redesigned forward-wing improve efficiency and reduce CO2 emissions by 3%. The new design for the wings surface also enables the aircraft to climb 3% faster. The cockpit is equipped with a Rockwell Collins Pro Line 21 avionics suite with a tablet-based electronic flight bag. It also includes twin control panels, three large adaptive flight displays (AFDs), a convenient cursor control panel, an integrated avionics processor system, four data concentrator units (DCU), a state-of-the-art weather radar, TCAS 1 (Traffic Collision Avoidance System), as well as a terrain awareness and warning system (TAWS). The aircraft can be flown by one or two pilots and complies with EASA CS-23 and FAR Part 23 standards. The aircraft has a rear cabin volume of 375ft³ (12.88m³) and can accommodate seven passengers with enough room to work and relax. It is equipped with broadband and satellite connectivity, transforming it into a flying office. The spacious stand-up cabin is 5ft 9in (1.75m) high, 6ft 1in (1.85m) wide, and 15ft (4.55m) long. The Challenger 650 is a new business jet in the Challenger family of business jets developed by Bombardier Aerospace. The luxurious cabin is also redesigned with two separate rows of rotatable leather seats by Iacobucci HF and interiors by Poltrona Frau. Enhanced air-conditioning system and lightning also contribute to passenger comfort. The aircraft is powered by two Pratt and Whitney Canada PT6A engines driving two 85in-diameter, five-blade scimitar propellers developed by Hartzell Propeller. The new wide-chord, lightweight propellers are made from aluminium alloy and are fully feathered, reversible and hydraulically controlled with constant speed. The propeller RPM was reduced from 2,000 to 1,800. These features, along with aerodynamic changes, redesigned nacelle and engine exhaust geometry, reduce external noise by 68% or 5dB(A). Internal cabin noise is reduced by 20% or 1dB(A), elevating passenger comfort further. Avanti Evo features a new low-maintenance landing gear, including steerable dual-wheel nose gear and two single-wheel main landing gear units. Each main wheel is fitted with carbon, anti-skid brakes. The aircraft can operate from peripheral airports and smaller airfields with short runways of less than 1,000m in length, that do not serve scheduled flights. The Avanti EVO series received European Aviation Safety Agency (EASA) certification for the auxiliary fuel tank in June 2014. The addition of auxiliary tank increases the aircraft’s fuel capacity from 2,826lb to 3,226lb and the maximum range by 17%, from 1,470nmi on standard fuel to 1,720nmi (3,185km). It also enables the aircraft to make transcontinental journeys and US coast-to-coast flights with just a single fuelling stop.